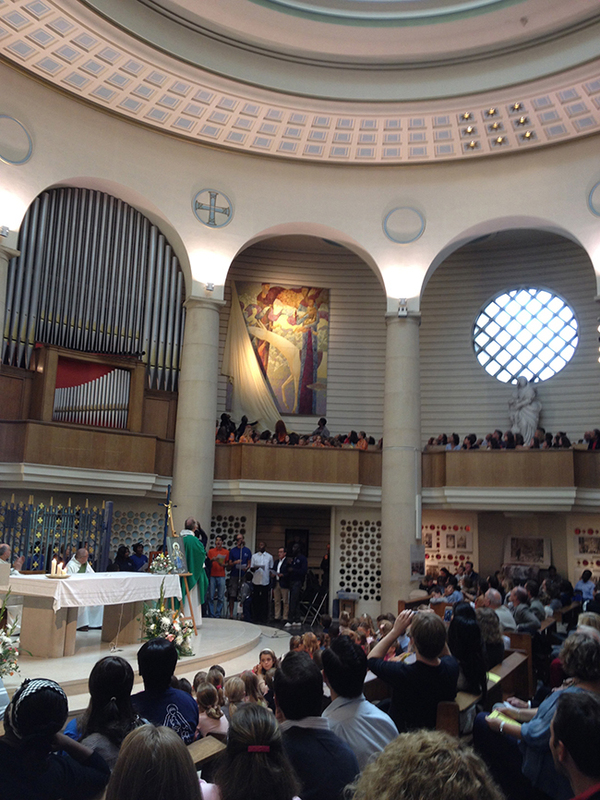 In September 2015 a great number of the French community in London gathered at their church of Notre Dame de France, near Leicester Square, to see the unveiling of Flight Into Egypt. 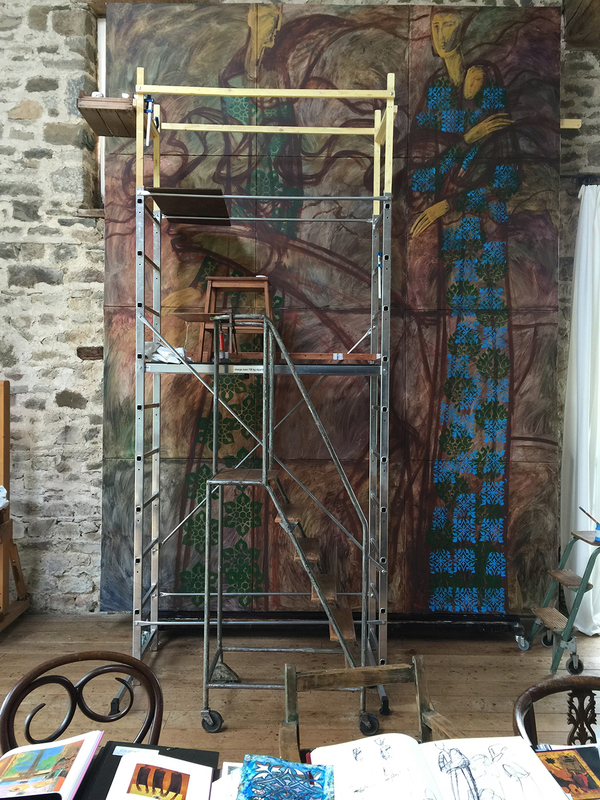 This vast canvas had taken about three months to achieve in Timur's studio in Normandy. It had to be painted there because, at four metres tall, there were very few other places where he could have produced it. One of the great challenges was that Jean Cocteau had already left his mark on the French church when WWll bomb damage led to the church being completely reconstructed. He had been commissioned to paint murals on the north wall and Timur's twelve one metre-square canvasses bolted together were to hang opposite them on the south wall. "I needed to complement Cocteau's colours: pastels, light blues and greens and at the same time have a strong enough image for people to see when they look up at my picture from fifteen or twenty metres away. It was huge! A huge painting, a huge challenge and a huge honour to be asked to do this." A major project during 2014 involved illustrating the nine short stories which comprise The English Knight, by author Christopher Long. The nine canvases (80cm x 80cm) were first shown at the Galerie de Buci in Paris in October before moving to a London launch of a limited edition version of the book at the Cadogan Contemporary Gallery in South Kensington. Pictured right is the front cover over The English Knight. Click on the image to see the full series of stories and illustrations. 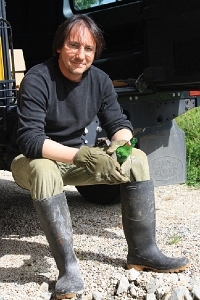 Timur first discovered Normandy in February 2001 when he went to support old friends who were buying a semi-ruined house on a small peasant farm in Pont-Farcy. He thought these friends were quite deluded and needed all the help and sympathy he could offer. 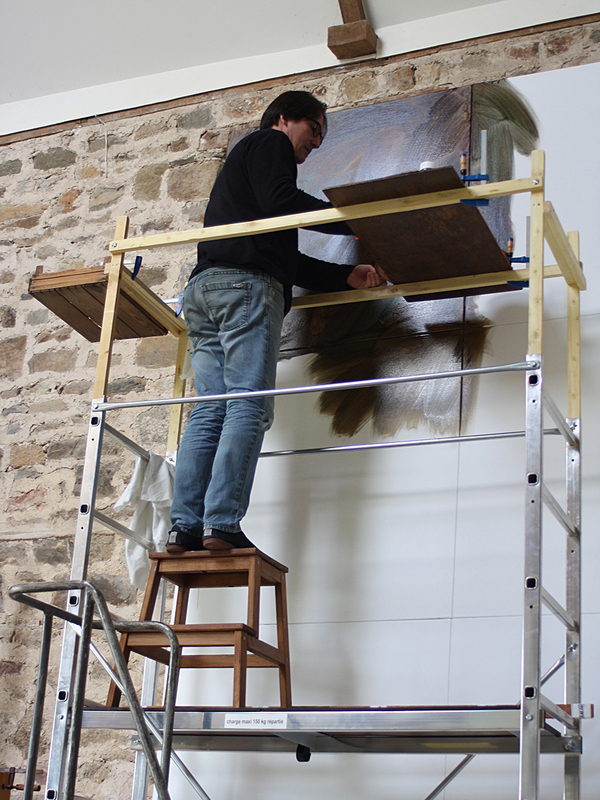 A year later he began looking for a ruined barn near Pont-Farcy with a view to converting it into a summer studio. In November 2003 he bought Le Ménage, a large farm building that had once housed cattle at one end and working horses at the other. The following year his friends thought he was quite deluded and needed all their support when he put up a very large military tent beside his barn and then set about painting and entertaining his friends in it throughout the summer. 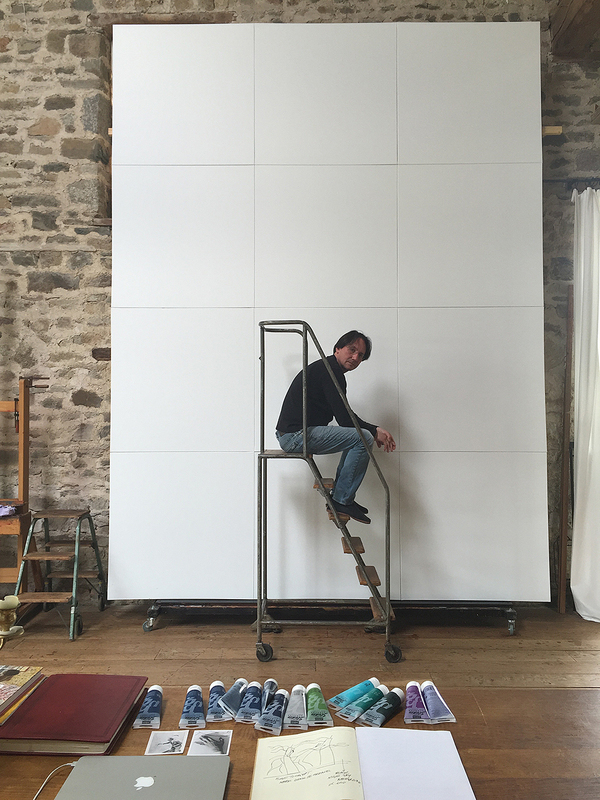 Meanwhile, conversion work began and within two years the barn became the delightful studio Timur now occupies for several months each summer (see Studios).